Seattle, What’s the Big Deal? 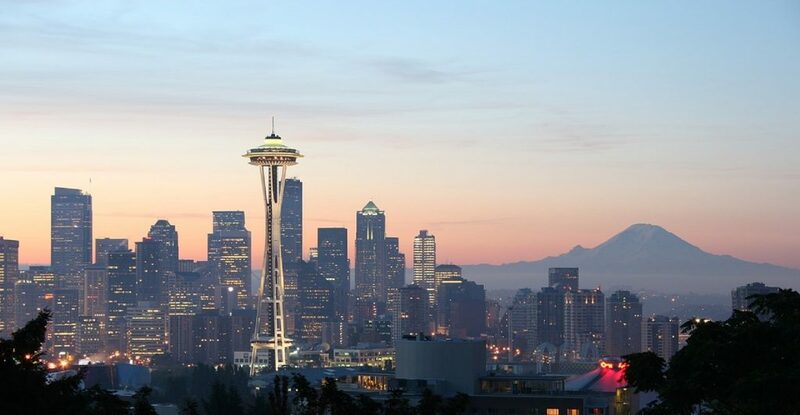 The headlines are everywhere proclaiming Seattle as the hottest housing market in the nation. Our humble city built on aerospace, trade, and influenced by a software engineer who donates millions, has found itself on the national map as the new darling of the tech world. Of course, this proclamation cannot go without mentioning the commerce juggernaut right in our own backyard, Amazon. I was told recently by Windermere’s Chief Economist Matthew Gardner, that Amazon occupies 20% of all Class A business space in Seattle – that is a lot! It seems you cannot drive down I-5 between Shoreline and the Sea-Tac Airport without spotting at least 15-20 cranes busily building more of that office space. So, why Seattle? In contrast to California’s Bay Area, the cost of living here (rents and real estate) is half – office space costs half and companies can provide the same wages. This combination puts more money in employees’ pockets and companies are not as expensive to run, making profits higher. This has driven many companies to relocate or expand from the Bay Area to Seattle or Bellevue, markedly increasing the demand for housing. This has put an even tighter squeeze on inventory, putting us in the most extreme Seller’s market (0-3 months of inventory) we’ve ever seen. This has driven prices up, and values are hinging on commute times. Below is a chart that outlines the amount of available inventory based on pending sales measured in months, and the median price in the month of March 2017. As you can see, there is a direct correlation between proximity to job centers (Seattle and Bellevue) and home prices. If you have considered selling your home and making a move, now is one of the most favorable times to do so. If you are considering a purchase, the environment is competitive but there are opportunities. Aligning with an experienced and knowledgeable broker who can help you properly strategize, is key. One might think it is simple to sell your home in this market, but getting top dollar, strong terms, and a sale that will pass appraisal is the ultimate goal, and takes a high level of communication and nuanced negotiations. The same applies for buyers, along with education and a refined process, which helps empower buyers to make informed decisions and win. Our city is changing, and whether you thinks it is for the good or the bad is up to you, but this is our new reality. Seattle is beautiful, prosperous and full of opportunities for those who choose to call it home. Like any opportunity, it needs to be properly analyzed, considered, and ultimately seized. If you are curious how your home measures up in today’s market please contact us. Any one of our agents would be happy to provide you a complimentary market analysis to help keep you informed, or sit down and chat about the steps of a successful home purchase.